Current Customers: If you have given your email address for a purchase with The Planter’s Palette, then you can enter the same email into the new website login feature by creating an account with that email for The Planter’s Palette website. With the account, you can view your past purchases. 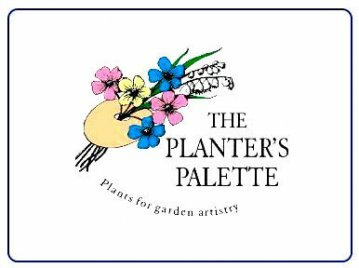 Newsletter Members: If you have signed up for the newsletter, you can use that same email address to create an account with the Planter's Palette, and with that email and account, use it to make possible purchases in the future as being the same user and view those purchases. New Customers: If you haven't given your email in signing up for the newsletter or in a purchase, you can sign up with your email, and then use that email when you sign up for a newsletter or in a purchase, and it will combine all of the information as one user and keep track of your purchases. Go to the website(planterspalette.com) and click the Login link on the far right. Enter your email address, then enter your password. Re-enter your password. Your password must be at least 8 characters long and must contain at least one non-alphanumeric character (the best passwords will have at least one capital letter, one number, and at least one non-letter, non-number character, such as !, $, %, etc., and should not be a password you've used in the past). Once you have logged in, you'll be able to see your purchase history with the company if you are a current customer. If you are a new customer or a newsletter member then you will have your own account with The Planter's Palette.